This course represents a laboratory course in introductory electrical and electronics. In this lab, you will learn basic circuit connections, use the basic electrical and electronics instruments, every electrical engineer needs to know: the oscilloscope, function generator and multi-meter. You will use these instruments running to measure voltages from circuits you will build from actual electrical components with measurement systems. Once you learn the basics found in the laboratory course, you will know how to interface electrical circuits to measurement systems, be they analog or digital. You will have the knowledge to build basic live circuits and get them to work. Electrical machine lab conducted for 2ndyears under Graduates. This lab represents the laboratory course in electrical machines used in various industrial applications. In this lab, students perform some basics experiments on transformer, DC machines, Induction motors and Synchronous machines. In this lab we analyze the behaviour of electrical machines on different conditions. This lab includes the issues related to power electronics devices. In this lab, students analyze the behaviour of power converters, Inverters, PWM techniques. The objectives of the power electronics laboratory course are to provide working experience with the power electronics concepts, special measurement and design techniques of the power electronics circuits. In this lab, students analyze the behaviour of power converters, Inverters, PWM techniques and many more power electronics devices. The significance of the Electrical Measurements Lab is renowned in the various fields of engineering applications. For an Electrical Engineer, it is obligatory to have the practical ideas about the Electrical Measurements. The main objectives of this lab are to expose the students to different types of electrical measuring instruments and make the students understand how to use these instruments for measuring an unknown quantity. In this lab we also calibrate & test different types of electrical measuring instruments. Basically this lab is integration of Electrical machines and power electronics. This lab focuses on the Electric Drives and their control in the real time environment. It comprises of the various machines i.e. DC motors to Induction motor and synchronous motor. It utilizes the power electronics circuits for the controlling purpose of the machine. The high voltage laboratory is part of the Energy Transmission and High Voltage. This lab deals with the thermal problems in electrical insulation, partial discharge detection techniques, high power electromagnetic and many more. 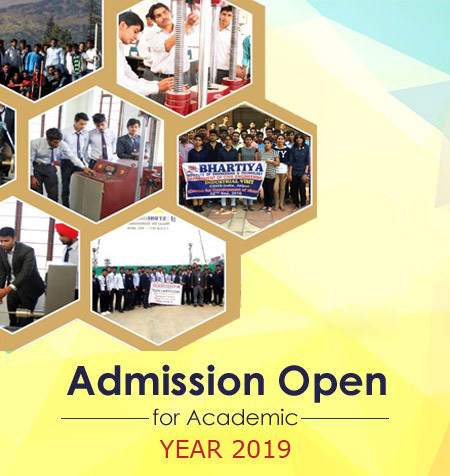 Students under this lab perform Diagnostic testing and condition monitoring of power equipment, overvoltage phenomena in power apparatus and systems, lightning, switching and very fast transient overvoltage’s, lightning protection systems, fault diagnosis etc. This Lab deals with practical aspects of control engineering. This laboratory provides the introductory experiments on response of control system components. In this lab, undergraduate students analyse the open loop and closed loop (feedback) response of servo systems. In addition, Electrical Graduates are also design the various compensator systems in this course. PSMS Lab based on MATLAB utility software. This Lab provides the knowledge regarding modelling and simulation of power system in MATLAB platform. In this course, Electrical engineering students analyse the different faults in power system and learn how to remove these faults. Load flow analyses, design of different buses are carried out in this lab course. The purpose of this laboratory is to introduce undergraduate students to PSpice and to illustrate some of its circuit analysis applications. In this lab with the availability of tools for computer aided circuit analysis, circuits of great complexity can be designed and analysed within a shorter time and less effort compared to the traditional methods. Under this lab students will use PSpice to solve some circuits and to determine the quantities of interest.